After Anchorman: The Legend of Ron Burgundy’s slow success, a sequel has been in high demand from its cult community. What that crowd – as well as the film’s cast and crew – didn’t realize is that capturing that same lightning in a bottle is easier said than done. Director/co-writer Adam McKay returns with the film’s original Channel 4 news team (Paul Rudd, David Koechner, Steve Carell, with Will Ferrell leading the pack) to continue the story of self-important and arrogant news anchor Ron Burgundy. Now taking place in the 80’s, an unemployed Burgundy is given the opportunity to read the news on a station featuring an around-the-clock broadcast. Laughing off the preposterous idea of a news outlet that runs the news all day and night, Ron takes the job and rounds up the old gang – all of whom have gone their own separate ways. I don’t have an issue with McKay and Ferrell (who also co-wrote the loosey-goosey screenplay) zeroing in on a concrete plot instead of letting uncut improvisation take full control of the narrative wheel. If anything, adding a straightforward plot about competing news anchors and breaking down racial barriers in the workplace would give the sequel that much needed leverage to separate it from the original. 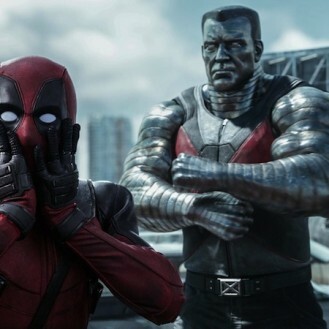 The problem, however, is that McKay can never find a comfortable medium between more serious guidelines and the film’s jarringly original absurdist sense of humour. 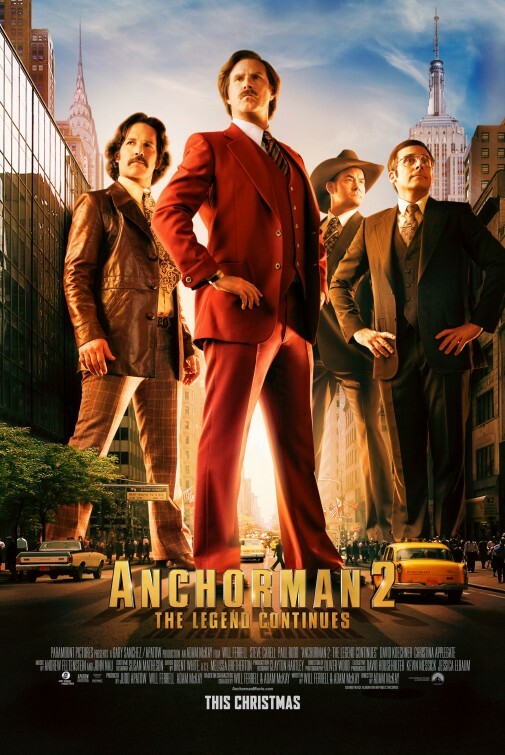 During the first third of Anchorman 2, the film brings a lot of laughs. Everything from Ron’s demise featuring a well used cameo to assembling the leading crew is on target and reminds audiences why fans sought after a follow-up. Brian Fantana’s photography business and Champ Kind’s seedy restaurant are all very funny, but Brick Tamland’s funeral for himself is a foreshadow of how over-saturated the randomness will become. Besides these key scenes, Anchorman 2 frequently strains to find that spot where absurdity generates bizarre comedy and ends up overshooting its results. Carrell, who was a scene stealer in the first Anchorman, resorts to constant screaming and obvious weirdness to find that wavelength he and McKay stumbled upon in the predecessor. It all feels as if these scenes are trying way too hard, and a subplot with Tamland’s office love interest (played with equal mugginess by Kristen Wiig) is even more evidence of this flub. The middle holding Anchorman 2’s story together is chalk dry, forgetting the ridiculous universe this movie is supposed to be taking place in. The laughs are quiet and sparse with awkward situational comedy stretched past its outer limits without a care. A lot of jokes involving the men’s uncomfortableness around their boss (who’s a black woman) felt more natural in the first when they were forced to walk on eggshells around a lone female anchor. Here, it walks a fine line between mocking out-of-touch ignorance and emphasizing it too much. The smartest satire in the sequel though is McKay and Ferrell’s observations about how news has evolved from hard hitting journalism to letting the public know what they want to hear. It may be as obvious as Carrell’s yelping, but the inner workings the funny men are pitching rings true. That said, once those intelligent moments leave, I found myself laughing out of pity during the bulk of Anchorman 2: The Legend Continues – not a good sign. Maybe it’s because I was one of those howling movie goers wanting a second Anchorman. I so wanted this to take off as well as its first outing. However, I can’t lie and Anchorman 2 is a let down. Saying it’s anything more than adequate even feels like too much of a reach.